The most common way that people give up their power is by thinking they don’t have any. In response to the inauguration of a certain Mr President, women, men and children all over the world took to the streets to march. They marched for human dignity and decency. 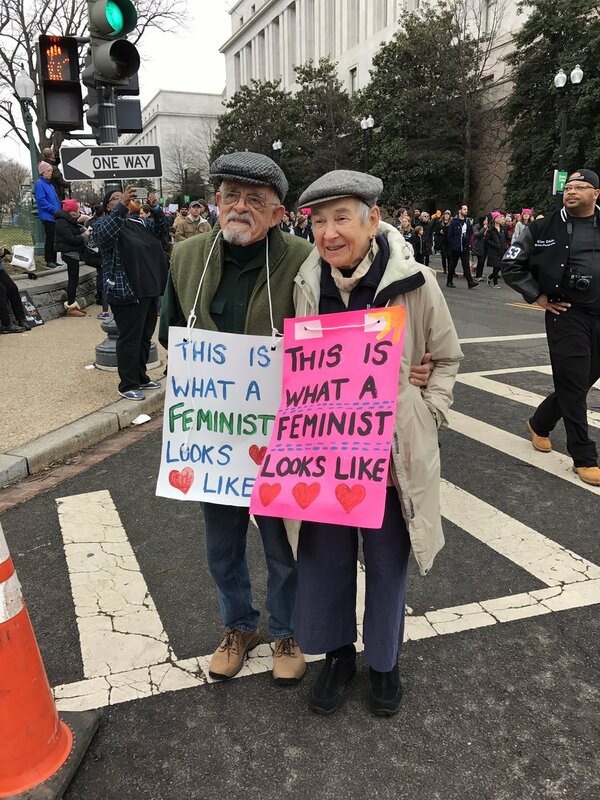 They marched for respect for women’s voices and bodies, access to healthcare and reproductive rights, LGBT equality, Black Lives Matter and our rights as human beings. As a campaign, it was a majorly successful one. What started out as an idea of a march to take place in Washington, turned out to be a global campaign with women marching all over the world. The march was well organised, well attended and gained substantial media coverage. Through Trump’s speeches and controversial Twitter feed, he has struggled to reassure Americans that he cares about or respects women in any way. 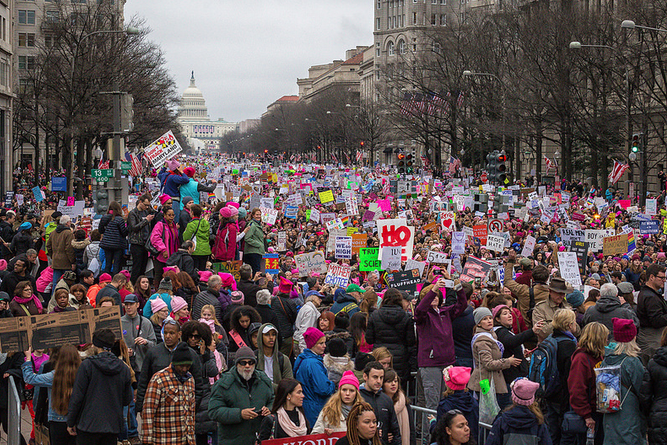 The march was the largest single day protest in US HISTORY. Worldwide, 4.8 million took part with 678 marches taking place. No arrests were made, making it one of the most peaceful large protests of all time. However, this wasn’t a protest it was a movement. 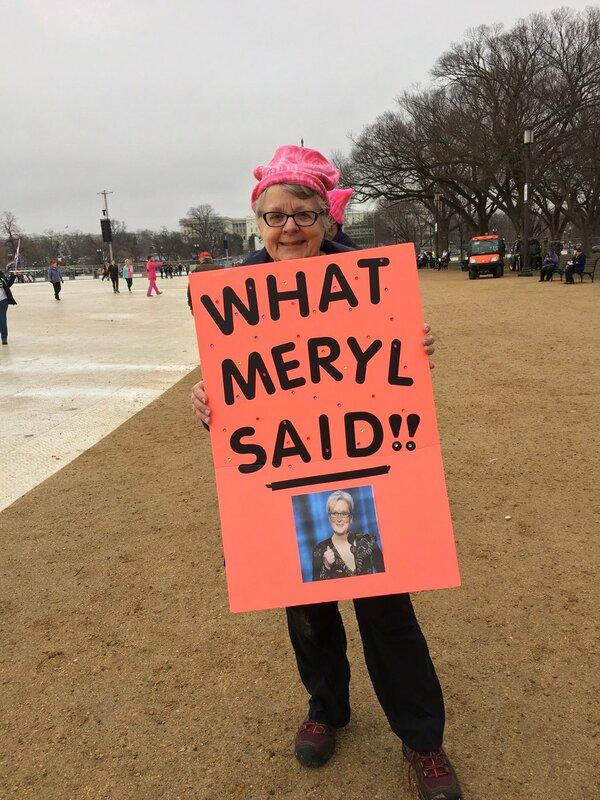 How did Donald respond to the march? Following the Women’s March, Trump (surrounded by eight male politicians) signed an executive order to reinstate the anti-abortion global gag rule. This blocks all US funding to foreign organisations that perform or give advice on abortions. Sorry to tell you Mr Trump, but you can never eradicate abortions, only safe abortions. It seems Donald has began with his 100 day plan. Today it has appeared in the news that he is beginning to talk about his legislations regarding immigrants. If Trump sticks to his word, it won’t be long until plans appear for this ‘great wall’ he’s going to build between America and Mexico. Interesting times are ahead it seems. Celebrity supporters of the march turned out both to lead on the front line and also blend in with the crowds. 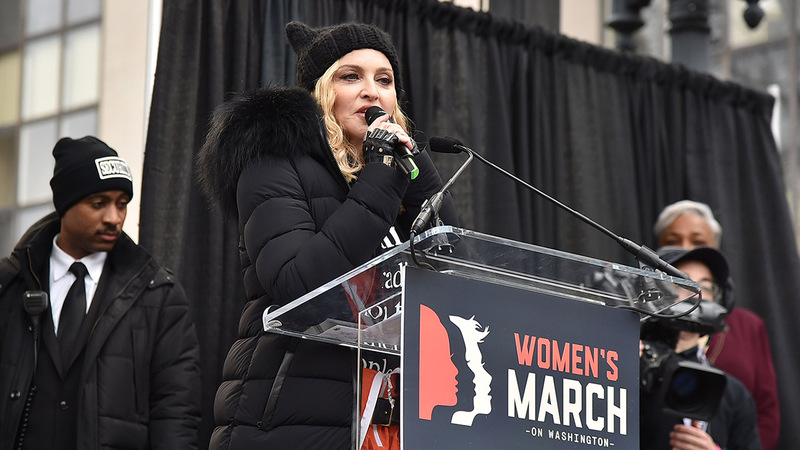 Madonna gave a very inspiring speech where she said ‘F**k you’ to the POTUS and also told us of her thoughts to blow up the Whitehouse – the secret service are now looking into this. Even if you are ‘Madonna’, it’s perhaps not a good idea to threaten the life of the President. Scarlett Johannson and Janelle Monae also addressed the crowds on the National Mall, Washington. Other celebrities turned up to protest including Katy Perry, Emma Watson and Julia Roberts. Maggie Gyllenhaal and brother Jake were seen on the streets of Washington, as well as Lena Dunham and Amy Poehler. Charlize Theron, Kirsten Stewart and Chris O’Dowd also blended in among the protesters. Rihanna was spotted in New York with James Franco, Mandy Moore and Joseph Gordon-Levitt seen marching in Los Angeles. The number of people that turned out for the march showed a solidarity among the people against Trump. 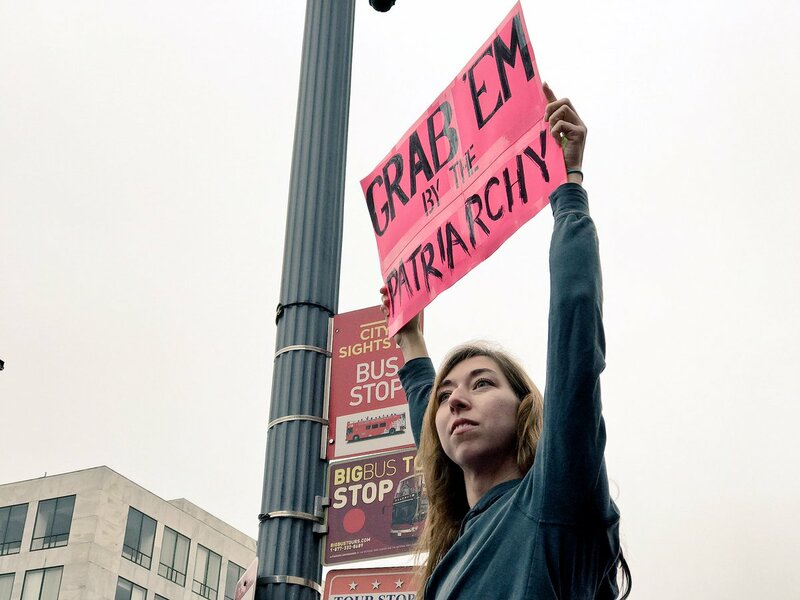 One of the highlights from the march was the signs. By uniting together and walking hand in hand we can fight for our rights and achieve greatness. 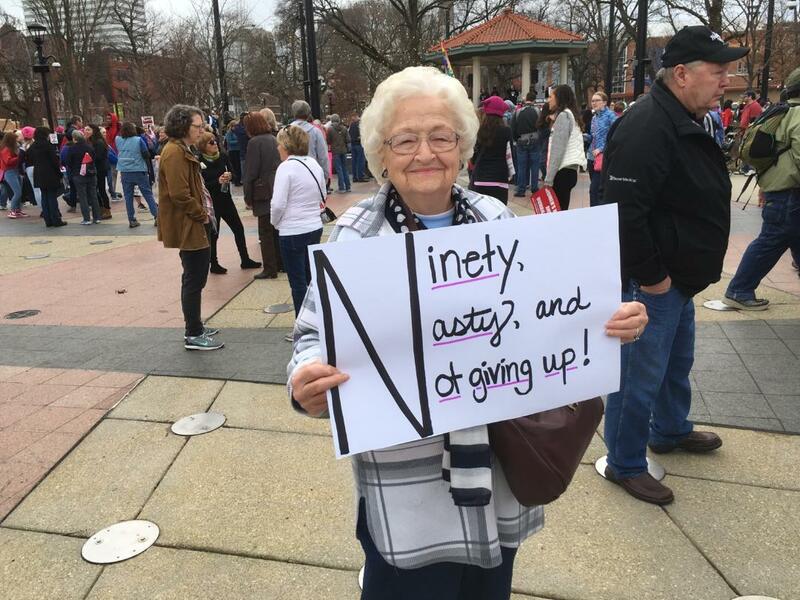 The future is female – watch out Mr President.